Cesar Cardenas is a Senior Government Relations Specialist. Mr. Cardenas advises on government contracting, administrative and regulatory matters, legislation and initiatives at all levels of government in Albany and New York City on behalf of both public and private sector clients. He engages in direct government and legislative advocacy on behalf of organized labor, corporate, not-for-profit and small business clients. 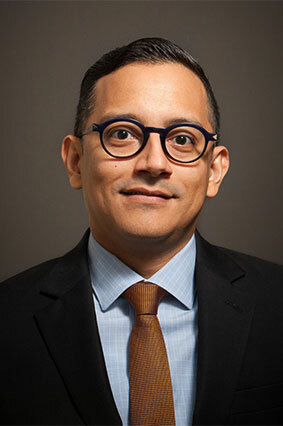 Prior to joining Pitta Bishop, Mr. Cardenas served in a counsel role in the Office of the Mayor of the City of New York, where he managed and oversaw legal, governance, and compliance obligations for a unit in the Office of the Deputy Mayor for Economic Development and Housing. His portfolio included cross-agency policy and program coordination, in-house policy development, legislative drafting and advocacy, representation before New York State Department of Labor officials on behalf of the city, and other external relations. Mr. Cardenas is a member of the Bar of the State of New York; and is also a Senior Associate with our affiliated firm Pitta Law LLP. He is also fluent in Spanish and has a strong command of French. Boston University (B.A. International Relations, 2001).